Wilbur Wright gliding in 1902. The Wrights added a vertical tail to their glider to deal with the lateral control problems experienced in 1901. 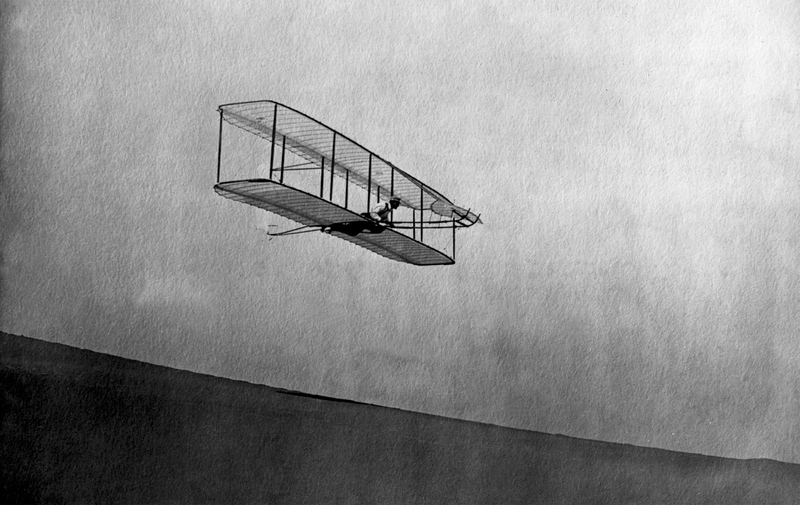 The more graceful appearance of the 1902 machine over the previous gliders is evident in this picture.